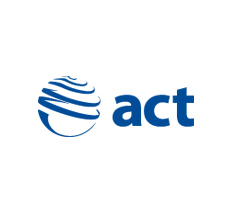 ACT provides flexible solutions to your health, safety and environmental training needs together with support through our audit and consultancy services. Our comprehensive range includes induction courses, NEBOSH Certificates, IOSH qualifications, NVQs and many more right through to the NEBOSH Diploma. We provide classroom based training throughout the UK and overseas. Cost effective in-house, online and blended learning options are also available. Place your confidence in ACT, leading the way to success in health and safety for over 25 years.